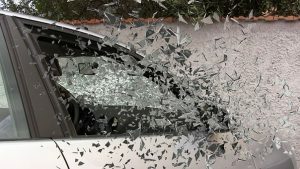 Vehicle accidents can be severe, and they happen when we are not expecting them. Though we always think these accidents don’t happen to us, it is so important to stay attentive and vigilant whenever you are behind the wheel. An accident was reported by the Worcester Police Department at 10 at night on May 20. The accident occurred at the 100 block of Highland Street. This is all that is known about this accident at this time. This accident was reported to have included injury. We will update this story if we learn more. Car accidents can vary in levels of severity. Many accidents do involve injury, and these injuries can sometimes be severe. It is so important for all drivers to remember they have a duty of care to the other drivers around them. All drivers need to remain attentive and follow the rules of the road. When they don’t, they could cause injury to others. Victims deserve to receive help and compensation when these accidents happen. At the Law Offices of Jeffrey S. Glassman, we know the impacts of car accidents. We want our roads to be safe, but we know that accidents do happen. When they do, we are here to help victims, and we are happy to answer any questions you have.